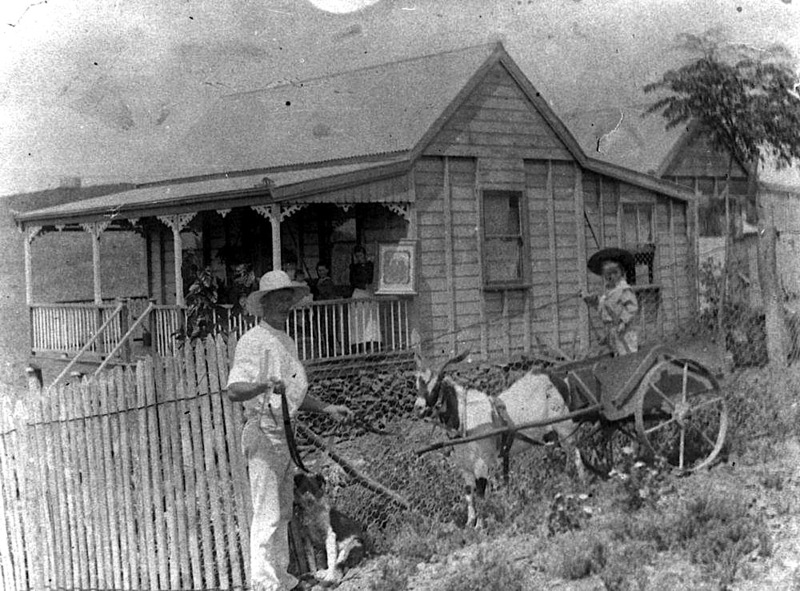 “Residence with goat in Yew Street, Barcaldine, Queensland,” ca. 1910, photographer unknown, via State Library of Queensland Commons on flickr. The man and boy are showing off the goat and cart. 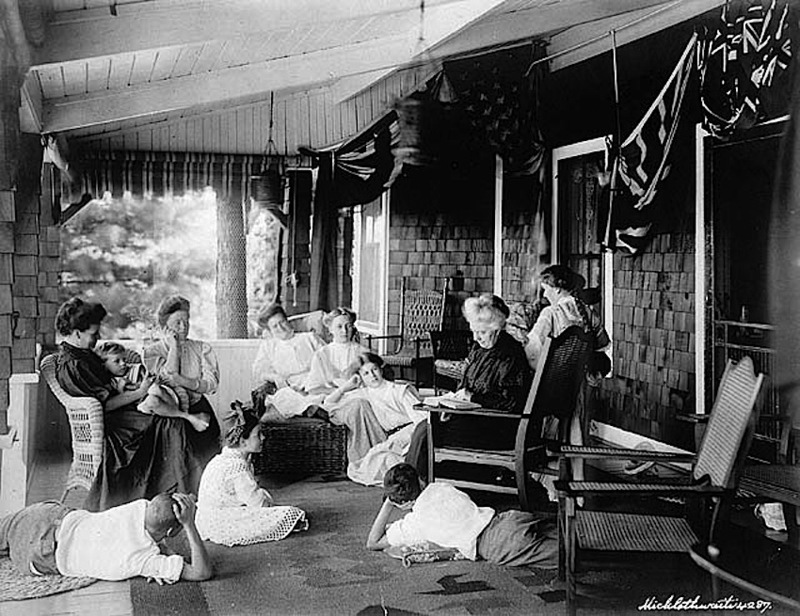 A woman on the porch is holding up a painting. In 1891, the Great Shearers Strike was held in Barcaldine under the boughs of The Tree Of Knowledge. The event led to the formation of the Australian Labor Party. The streets in the town are all named after species of trees. 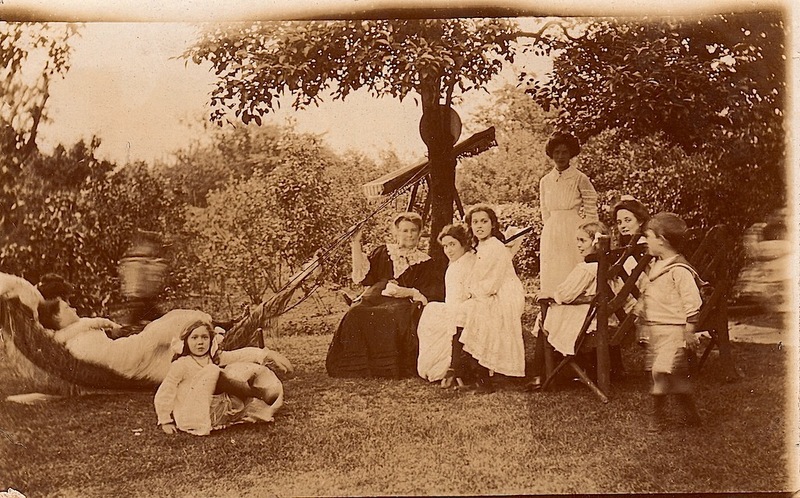 The Tambo family posing among the plants in front of their homestead of Malayta Hill near Nambour, Queensland, 1906, by A. W. Newbery, via State Library of Queensland Commons on flickr. The Tambos were among the tens of thousands of South Sea Islanders who were either kidnapped or recruited to be labourers in the sugarcane fields of Queensland during the mid to late 19th century — or they were their descendants. 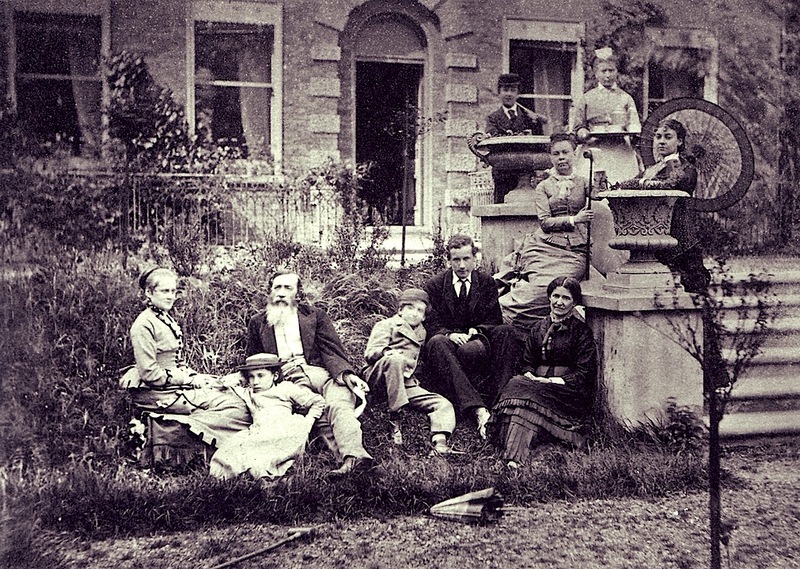 At the time of this photo, most Islanders who were still in Australia faced repatriation or deportation by the government under legislation related to the White Australia policy. 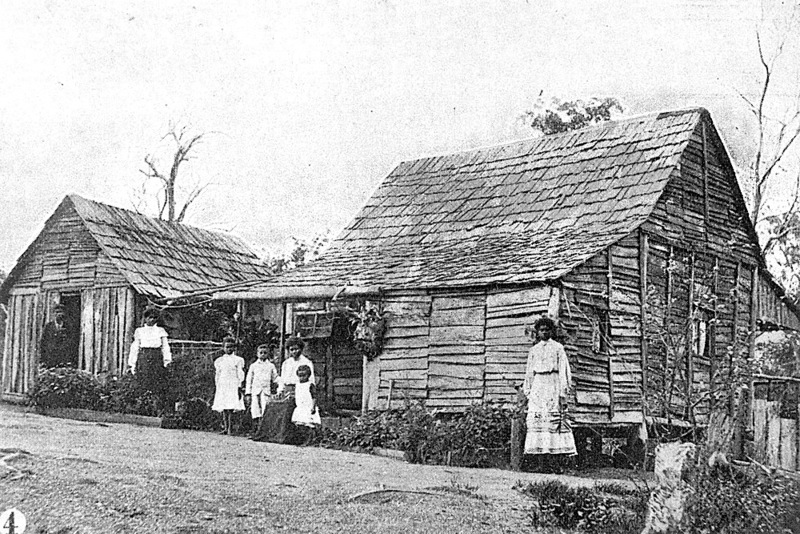 The image above was used in an 1906 photo-essay in The Queenslander entitled “The Undesirables – Kanaka* Settlers on the Blackall Range.” “Kanaka” was once a term for the Islanders, now considered offensive. There is little other text that I can find, but the title seems to refer to the process of forced repatriation. Descendants of those who escaped or were exempted from removal now form the largest Melano-Polynesian ethnic group in Australia. *It means “man” in the Hawaiian language, according to Wikipedia.